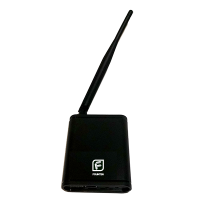 The Founten Extended Range Wireless Repeater has a wireless signal that reaches twice as far as the FS-REPEATER. It bridges long distances or dead spots in a property’s wireless network. Founten’s network monitoring software included in Founten’s Site Manager Subscription Service will identify any connectivity issues. The Repeater can then be installed in locations where poor signal quality is detected. While most sites will not require repeaters, they are available to assure reliable communications boost strength and signal when needed. Wireless communication to your Pelican products. Acts as a wireless repetition for Pelican Gateway.